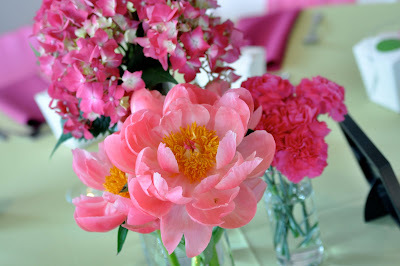 Blog Very Cool Flower Lamps! 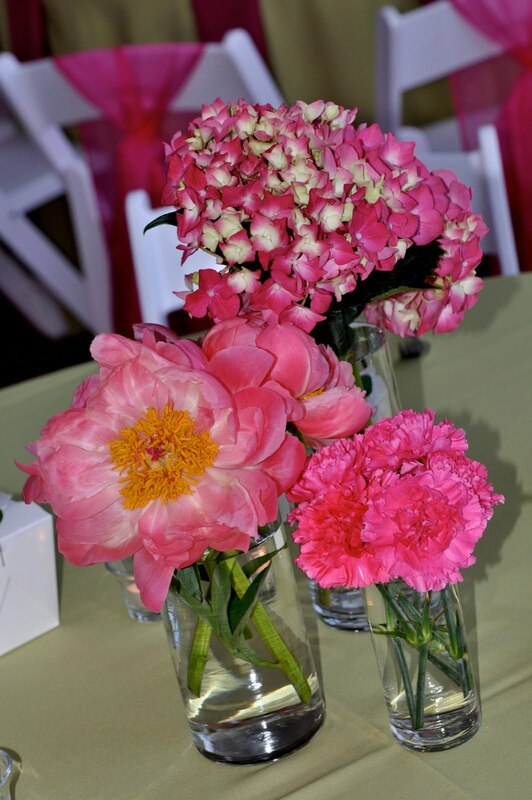 Just as promised……pictures of the centerpieces from Emily and Mike’s reception (you saw their ceremony in a previous blog). 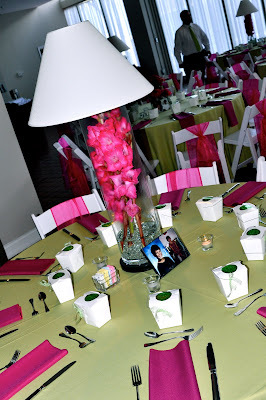 Emily wanted this lamp look for her reception at Neo. We incorporated her hot pink color with gladiolas that were contained within a large cylinder vase. We then added the lampshade on top (with LED lights inside) and an LED disc at the base. The whole arrangement was lit up like an actual lamp. It was very cool and contemporary and went well with the space at Neo. The opposite tables had three vases of hot pink flowers-one with hydrangea, one with peonies and one with carnations. 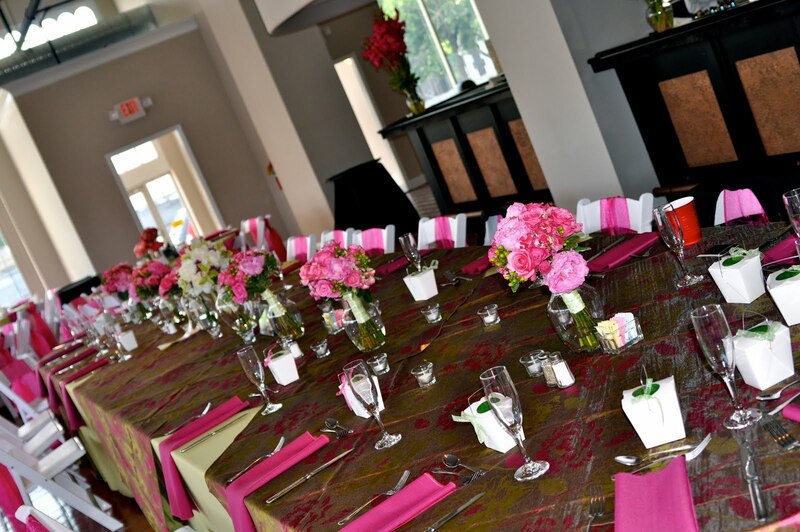 The long head table was decorated with the bouquets from the ceremony. 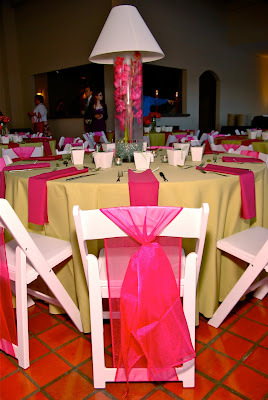 The whole event had a very sleek look with the bride’s pops of pink!